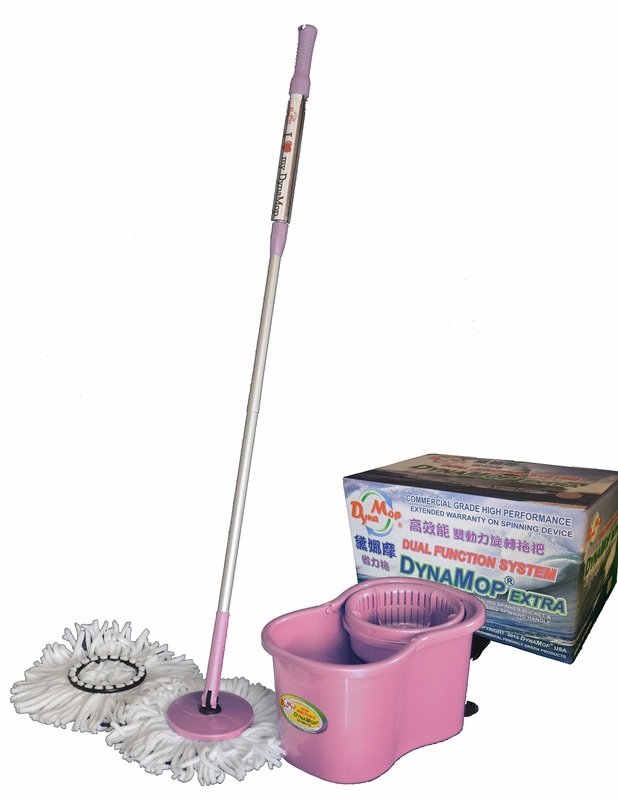 The DynaMop® Extra Dual Function Spin Mop combines a foot-pedal spinner mop bucket and a built-in self-powered spinner mop handle. Foot Pedal Style PP Bucket with Lifetime Spinning Mechanism. 55" extra long self-powered spinner handle. 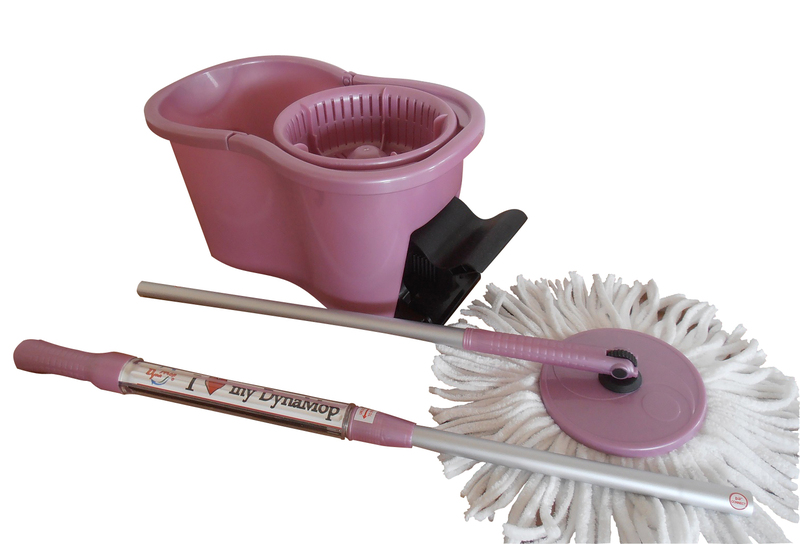 Unique DynaMop® Fluffy type Microfiber Mophead included. Extra heads available at discounted price with purchase, simply click into "Mophead Options" box to select. The new DynaMop® Ultimate Model is the first and only spin mop in the world to use no ball bearing to drive the spin basket. The spinning mechanism is the 2012 Silver Medal winner at the Paris International Invention Show [Concours Lepine]. The spinner is a breakthrough technology in the spin mop industry for the invention of the non-abrasive spinning device that replaced the one-way ball bearing. 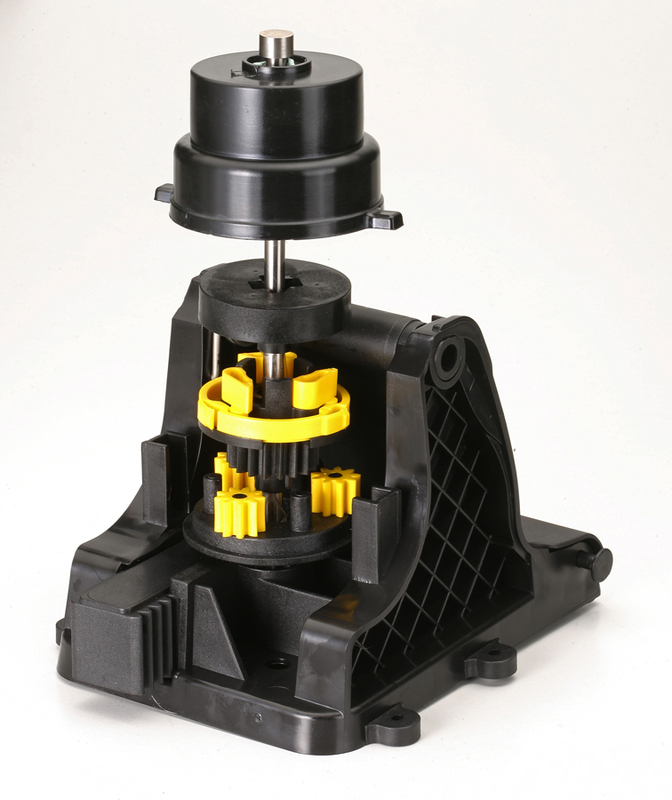 The device successfully passed 250,000 pedal pushes compared to 20,000 pedal pushes when using a one way ball bearing, over 10 times longer lasting in comparison. The newest DynaMop® EZ model is further honored with Gold Medal in the 2013 Paris Int'l Invention Show & Contest for its Clutch style spinning mechanism used in the Self-Powered handle. This spinning mechanism delivers super high 3000+ rpm centrifugal spin force marked another DynaMop® glorious achievement, it spins faster than a hurricane. 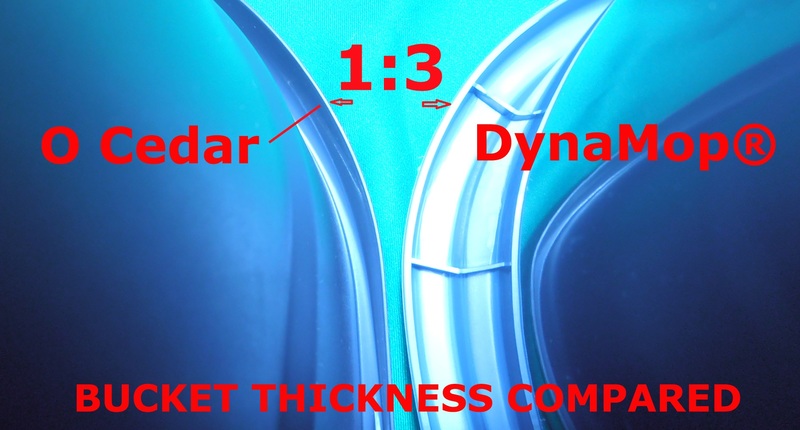 The DynaSpin will continue to run until the bucket "kicks the bucket"! Extra long 55" sturdy mop handle with 15 position pivot. Extra wide ergonomically designed foot pedal, made for comfort. * The self-powered handle body for this DynaMop®[Extra] model is originally designed with a see-through PC (Poly Carbonate), a highest grade & most expensive plastic material, to expose the DynaMop® brand name. Our quality assurance team received reports to reflect a 1.3% crack rate at the bottom part of PC. 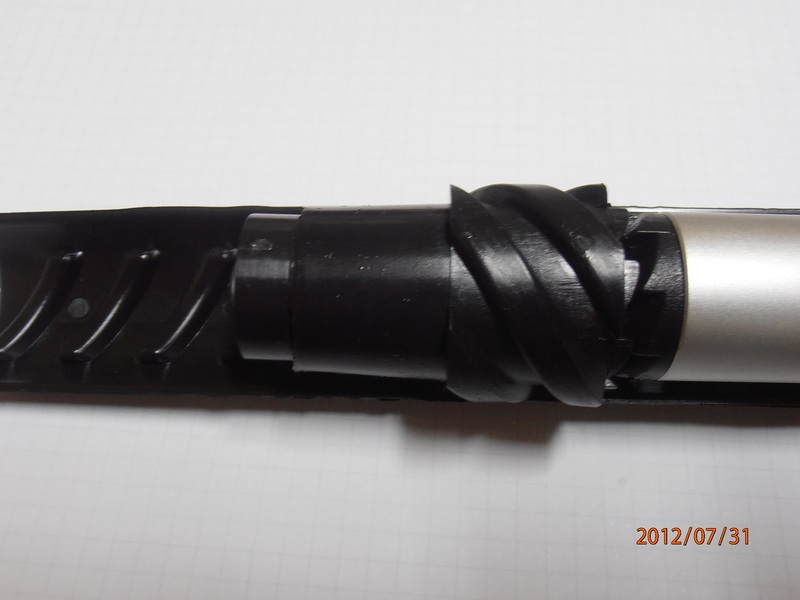 As a precaution measure, we feel responsible to include a replacement part in the more flexible PP material to ensure every customer is guaranteed many years of usage of all DynaMop® products.